^ （英文） Weiling F. Historical study: Johann Gregor Mendel 1822–1884. American Journal of Medical Genetics. 1991, 40 (1): 1–25; discussion 26. PMID 1887835. doi:10.1002/ajmg.1320400103. ^ 楊照崑. 遺傳, 環境與基因 (PDF). 数学传播. 1995, 19 (2). （原始内容 (PDF)存档于2007-05-08）. ^ （英文）Peter J. Bowler, The Mendelian Revolution: The Emergency of Hereditarian Concepts in Modern Science and Society (Baltimore: Johns Hopkins University Press, 1989): chapters 2 & 3. ^ （英文） Balter M. Genetics: Was Lamarck just a little bit right?. Science. 2000, 288: 38. PMID 10766632. ^ （英文） Bateson W. Letter from William Bateson to Alan Sedgwick in 1905. The John Innes Centre. [2008-03-15]. （原始内容存档于2007-10-13）. ^ （英文） Bateson, W. The Progress of Genetic Research. (编) Wilks, W (editor). Report of the Third 1906 International Conference on Genetics: Hybridization (the cross-breeding of genera or species), the cross-breeding of varieties, and general plant breeding. London: Royal Horticultural Society. 1907. ^ （英文） Moore JA. Thomas Hunt Morgan—The Geneticist. American Zoologist. 1983, 23 (4): 855–865. doi:10.1093/icb/23.4.855. ^ （英文） Hershey AD, Chase M. Independent functions of viral protein and nucleic acid in growth of bacteriophage. The Journal of General Physiology. 1952, 36: 39–56. PMID 12981234. doi:10.1085/jgp.36.1.39. ^ （英文） Judson, Horace Freeland. The Eighth Day of Creation: Makers of the Revolution in Biology. Cold Spring Harbor Laboratory Press. 1979: 51–169. ISBN 0-87969-477-7. ^ （英文） Watson JD, Crick FHC. Molecular structure of Nucleic Acids: A Structure for Deoxyribose Nucleic Acid (PDF). Nature. 1953, 171 (4356): 737–738. doi:10.1038/171737a0. ^ （英文） Watson JD, Crick FHC. Genetical Implications of the Structure of Deoxyribonucleic Acid (PDF). Nature. 1953, 171 (4361): 964–967. doi:10.1038/171964b0. ^ （英文） Sanger F, Nicklen S, and Coulson AR. DNA sequencing with chain-terminating inhibitors. Nature. 1977, 74 (12): 5463–5467. 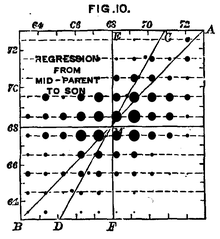 PMID 271968. doi:10.1073/pnas.74.12.5463. ^ （英文） Saiki RK, Scharf S, Faloona F, Mullis KB, Horn GT, Erlich HA, Arnheim N. Enzymatic Amplification of β-Globin Genomic Sequences and Restriction Site Analysis for Diagnosis of Sickle Cell Anemia. Science. 1985, 230 (4732): 1350–1354. PMID 2999980. doi:10.1126/science.2999980. ^ 20.0 20.1 Human Genome Project Information. Human Genome Project. [2013-11-20]. （原始内容存档于2013-10-17）. ^ Richard W. Cheney. Genetic Notation. [2010-09-18]. （原始内容存档于2010-09-18）. ^ （英文） Mayeux R. Mapping the new frontier: complex genetic disorders. The Journal of Clinical Investigation. 2005, 115 (6): 1404–1407. PMID 15931374. doi:10.1172/JCI25421. ^ （英文） Luke A, Guo X, Adeyemo AA, Wilks R, Forrester T, Lowe W Jr, Comuzzie AG, Martin LJ, Zhu X, Rotimi CN, Cooper RS. Heritability of obesity-related traits among Nigerians, Jamaicans and US black people. Int J Obes Relat Metab Disord. 2001, 25 (7): 1034–1041. doi:10.1038/sj.ijo.0801650. 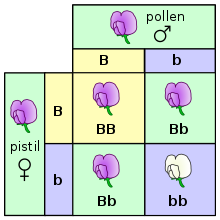 ^ （英文） Pearson H. Genetics: what is a gene?. Nature. 2006, 441 (7092): 398–401. PMID 16724031. doi:10.1038/441398a. 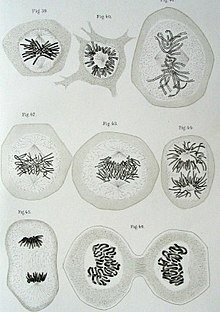 ^ （英文） Prescott, L. Microbiology. Wm. C. Brown Publishers. 1993. ISBN 0697013723. ^ （英文） How Does Sickle Cell Cause Disease?. Brigham and Women's Hospital: Information Center for Sickle Cell and Thalassemic Disorders. 2002-04-11 [2007-07-23]. ^ （英文） Imes DL, Geary LA, Grahn RA, Lyons LA. Albinism in the domestic cat (Felis catus) is associated with a tyrosinase (TYR) mutation (Short Communication). Animal Genetics. 2006, 37 (2): 175 [2006-05-29]. doi:10.1111/j.1365-2052.2005.01409.x. ^ （英文） MedlinePlus: Phenylketonuria. NIH: National Library of Medicine. [2008-03-15]. ^ （英文） Brivanlou AH, Darnell JE Jr. Signal transduction and the control of gene expression. Science. 2002, 295 (5556): 813–818. PMID 11823631. doi:10.1126/science.1066355. ^ （英文） Jaenisch R, Bird A. Epigenetic regulation of gene expression: how the genome integrates intrinsic and environmental signals. Nature Genetics: 245–254. doi:10.1038/ng1089. ^ （英文） Chandler VL. Paramutation: From Maize to Mice. Cell. 2007, 128: 641–645. doi:10.1016/j.cell.2007.02.007. ^ （英文） Kunkel TA. DNA Replication Fidelity. Journal of Biological Chemistry. 2004, 279 (17): 16895–16898. doi:10.1038/sj.emboj.7600158. ^ （英文） Sawyer SA, Parsch J, Zhang Z, Hartl DL. 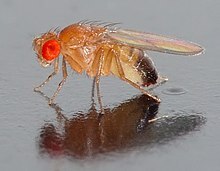 Prevalence of positive selection among nearly neutral amino acid replacements in Drosophila. Proc. Natl. Acad. Sci. U.S.A. 2007, 104 (16): 6504–10. PMID 17409186. doi:10.1073/pnas.0701572104. ^ （英文） Darwin, Charles. On the Origin of Species 1st. London: John Murray. 1859: 1. ，相关的早期思想可参考 Darwin, Charles. On the Origin of Species 3rd. London: John Murray. 1861. xiii. ^ （英文） Gavrilets S. Perspective: models of speciation: what have we learned in 40 years?. Evolution. 2003, 57 (10): 2197–2215. PMID 14628909. doi:10.1554/02-727. ^ （英文） Wolf YI, Rogozin IB, Grishin NV, Koonin EV. Genome trees and the tree of life. Trends Genet. 2002, 18 (9): 472–479. PMID 12175808. doi:10.1016/S0168-9525(02)02744-0. 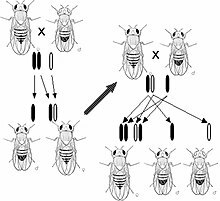 ^ （英文） The Use of Model Organisms in Instruction. University of Wisconsin: Wisconsin Outreach Research Modules. [2008-03-15]. （原始内容存档于2008-03-13）. 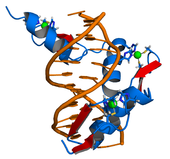 ^ （英文） NCBI: Genes and Disease. NIH: National Center for Biotechnology Information. [2008-03-15]. ^ Lu, Y.-F.; Goldstein, D. B.; Angrist, M.; Cavalleri, G. Personalized Medicine and Human Genetic Diversity. Cold Spring Harbor Perspectives in Medicine. 24 July 2014, 4 (9): a008581–a008581. doi:10.1101/cshperspect.a008581. ^ （英文） Pharmacogenetics Fact Sheet. NIH: National Institute of General Medical Sciences. [2010-12-04]. （原始内容存档于2010-12-04）. ^ Service RF. The Race for the $1000 Genome. Science. 2006, 311 (5767): 1544–1546. PMID 16543431. doi:10.1126/science.311.5767.1544. Griffiths AJF, Miller JH, Suzuki DT, Lewontin RC, and Gelbart WM. An Introduction to Genetic Analysis. New York: W.H. Freeman and Company. 2000. ISBN 0-7167-3520-2 （英语）. Hartl D, Jones E. Genetics: Analysis of Genes and Genomes 6th. Jones & Bartlett. 2005. ISBN 0-7637-1511-5 （英语）. 戴灼华、王亚馥、粟翼玟. 《遗传学》 第二版. 高等教育出版社. 2008年. ISBN 978-7-04-022083-4 （中文（简体）‎）. 李振刚. 《分子遗传学》 第三版. 科学出版社. 2008年. ISBN 978-7-03-020134-8 （中文（简体）‎）. Robert H. Tamarin. Principles of Genetics. WCB/McGraw-Hill. 1999. ISBN 0697354628 （英语）. Susan L. Elrod, William D. Stansfield. Schaum's Outline of Theory and Problems of Genetics. McGraw-Hill Professional. 2001. ISBN 0071362061 （英语）. Leland Hartwell. Genetics: From Genes to Genomes. McGraw-Hill. 2008. ISBN 978-0072848465 （英语）.